Sherry Parks, I support women in finding happiness on their own terms. In honor of World Sleep Day, I am letting you into my bedroom and sharing with you my top five essential oils for sleeping. I have never been a good sleeper; in fact, I have had insomnia since I was a kid. I’d turn off the light and try to go to sleep, but more often than not, I’d find myself still lying there hours later waiting for sleep to come. That didn’t change as I got older, it got worse. Sometimes it would take me a long time to fall asleep and then I couldn’t even stay asleep. I would awaken every hour or two and be awake for long stretches. I didn’t want a prescription medicine, so I went with over-the-counter types of aids, but they weren’t perfect and I certainly didn’t want to take one every night. And that was the main reason I made my first essential oil purchase. I wasn’t sleeping more than an hour or two a night and I learned that essential oils can really help with this. I started out with Lavender, but I quickly branched out and have tried a bunch of singles as well as blends. Once I started using essential oils, I found that I was falling asleep faster and staying asleep longer. Now, I rarely have the wake up every two hours nights. If I do wake up, I find that I fall back to sleep easily. Listed below are my top five essential oil singles for sleep. These are in order from MOST loved to lesser loved (I really don’t have an oil that is NOT loved!). Lavender — A list like this is not complete without lavender. This is likely my most used essential oil. This is a very relaxing and calming oil and it has so many other uses. I put several drops of lavender in my diffuser every single night. I sometimes also apply it to my chest and back of neck. It is super supportive for a good night’s sleep. Vetiver — By far this is probably my favorite smelling essential oil. It has a woodsy and rich scent that instantly brings a smile to my face when I smell it. It is very grounding and calming and it definitely does that for me. This is one that gets used every single night. I generally apply it to my wrists, so that I can sniff at it as I’m falling asleep. Frankincense — This is an oil that I use daily, but not always at bed time. It has long been known to be beneficial for every system of the body. It lifts the spirits, but it can also be very relaxing. On nights when I feel like my mind just won’t stop, I like to apply a drop of this oil to the crown of my head. Roman Chamomile — This is a wonderful, gentle essential oil. It is great for the skin and it is also very good for calming the mind and body. This one was an acquired scent for me. When I took my first sniff, I was like “Gross.” Now, I love it! I apply it up the back of my neck into my hairline. Valerian — This oil has long been known for its calming effects on the central nervous system. However, this oil is STINKY! So, I apply it to the bottoms of my feet at the base of the big toe. 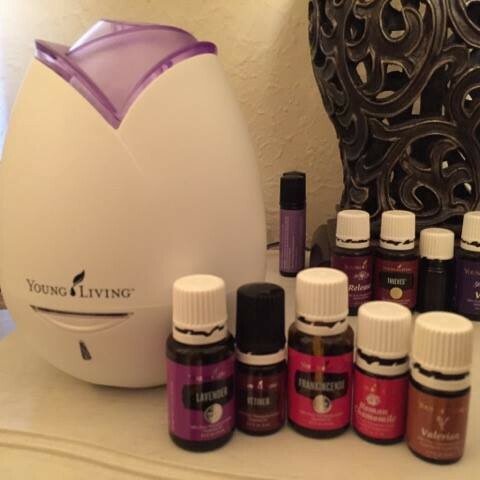 This provides me the benefits without me having to smell the essential oil! So there they are; my top five favorite essential oils for sleeping. I don’t use all of these every night, but I do use a minimum of two each night. Most nights I use three and I sleep so well with them! Sherry Parks is a Rediscovery Coach who helps women rediscover themselves and reconnect to the core of who they are. To contact Sherry for more information about coaching and using essential oils follow her on Facebook at Lives in Balance.